Optimisez votre temps au port à Akaroa avec une excursion de 6 heures en bord de mer à Christchurch et admirez les principaux sites de la Ville Jardin. 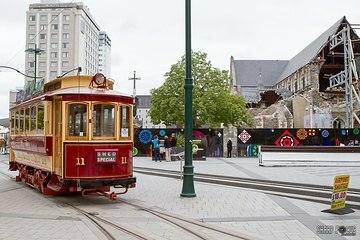 Admirez les monuments de la ville tels que la cathédrale de Christchurch, dégustez un délicieux déjeuner (à vos frais) dans un restaurant sur la rive, puis choisissez l’une des trois options de visite (pour un supplément) : une promenade en barque le long de la rivière Avon, une visite des jardins botaniques, ou une promenade dans le tramway de la ville de Christchurch. Excellent host. Fantastic small bus.Had a wonderful and informative day!!! it was sad to see the devastation from the Earthquake but wonderful how the people have continued on. The shopping mall made from ship storage containers was really a sight to see. 12 of us had a great day travelling to Christchurch enjoying the scenery on the way from Akora. Our guide was very helpful as we was meeting friends so very pleased that we could coordinate this and gave us directions to the museum and a park near by. We were very lucky to go on our tour as our ship had problems with the tendering and we were 30 minutes late but our guide Graham waited for us even though a couple of people on the tour were upset with him for waiting. 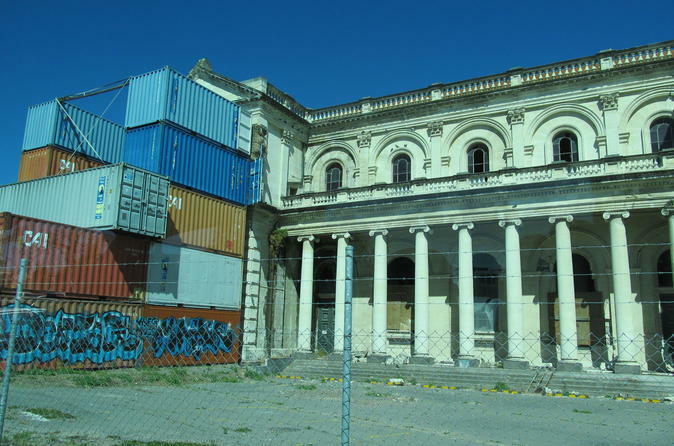 The tour was a very good look at Christchurch after the earthquake and Graham showed us the damage that was still waiting for repairs. The description for this tour said we got to do one activity in Christchurch. You could select a river tour, botanical garden tour or tram tour. When we got to Christchurch we were told that all of those activities were an extra cost. Other people on the tour were under the same impression when they purchased the tour. The tour guide was informative but very unenthusiastic. He wasn't very helpful when he dropped us off in Christchurch without any tour to do after the 2hr ride from Akaroa. This was the worst of the 8 tours we did on our trip. We were met at the pier by Graham after being tendered over from the cruise ship. This harbor is not deep enough for the ship to dock. There were 10 of us for the tour which was just right. The shuttle was a new Ford mini bus that was excellent. Graham was very professional, courteous and knowledgeable. He got high marks from all of us on the tour. We traveled up and over the volcano into Christchurch. A stop for lunch at the Boatshed was excellent and we had plenty of time to walk around the downtown area before Graham picked us up again at the Botanical Gardens. A tour around town included the earthquake damage and recovery that is still going on. A ride back to Akaroa and returned to the cruise ship. A very good tour. Graham was our driver and tour guide. He was a wealth of knowledge on the area. Tour was with a small group, always a treat since we were on a cruise and groups of less than 40 are rare. Included photo stops along the way and a nice lunch along the river. Tour included the botanical garden, museum and the central Christchurch area devastated by the 2010 and 2011 earthquakes. The tour was really transportation to Christchurch. We would have liked to have been able to spend more time there. Also we could take a boat tour, trolly tour, or something else which the cost was not included and the tour mentioned we had a choice but didnt state that price was not included. Our host Andrew was helpful and informative. The coach windows were small and did not allow for good viewing by middle seat passengers. The sights seen were amazing and Andrew stopped at the right gift shop for reasonable prices.